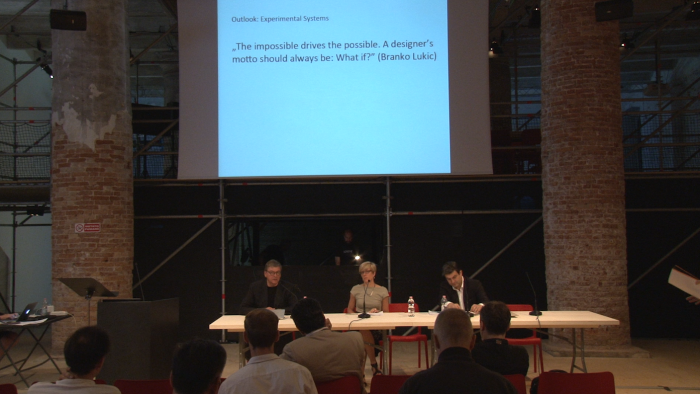 This panel discussion was a continuation of the theme on applying the concept of curating to the study of creative economy first explored in July 2014 in a public workshop organized by Zurich University of the Arts in the Venice Biennale with a small group of international experts from art, science, culture and social studies(http://www.labiennale.org/en/architecture/exhibition/weekend-specials/). The panel in Hong Kong followed a similar format as in Venice – by inviting prominent experts from various fields in Hong Kong – to join some of the participants of the Venice panel, to discuss how the concept of curating might apply to their respective field of work in contributing to an integrative approach to creative economy. Desmond Hui is currently Non-Executive Director of the Urban Renewal Authority in HK and Managing Director of Culture and Development Consultancy Ltd (www.cadcltd.com). He obtained BArch from Cornell; MPhil and PhD from Cambridge and holds Visiting Professorship at University of HK and Adjunct Professorship at the HK Institute of Education. Formerly he was Associate Dean of Arts and Professor at Chinese University of HK and Director of the Centre for Cultural Policy Research at University of HK. He was Guest Scholar at the Canadian Centre for Architecture, Montreal and Research Fellow at St Edmund’s College, Cambridge. He was appointed member of the Antiquities Advisory Board and Commission on Strategic Development and is at present Museum Expert Advisor of the HK Government. He is member of the International Committee of Architectural Critics and editorial board of The Creative Industries Journal (UK) and The International Journal of Cultural and Creative Industries (Taiwan). He was the Lead Curator for the Hong Kong Exhibition of the 11th International Architecture Exhibition of Venice Biennale in 2008 and Co-Curator in 2012. Lo Ou-fan Lee is the Sin Wai Kin Professor of Chinese Culture at the Chinese University of Hong Kong. Before coming to Hong Kong in 2004, he taught at a number of American universities, including Harvard. Chicago, UCLA and Princeton. He is the author of Shanghai Modern: The Flowering of Urban Culture in China, 1930-1945 (Harvard, 1999), City between Worlds: My Hong Kong (Harvard, 2007), and two dozen collections of cultural criticism in Chinese. As an amateur lover of architecture, he was co-curator of the Hong Kong team selected to participate at the Venice Biennale in 2008. Vincent Ng is an award winning architect and urban designer. Graduated from the University of Hong Kong in 1985, Ng obtained the degree of Bachelor of Architecture with Distinction. He further obtained the degree of Master of Urban Design in 1994, and was awarded the Young Architect Award in the same year. In 1999, he founded the architectural and urban design practice AGC Design Limited. Ng was awarded the Ten Outstanding Designer Award in 2013. An experimental art pioneer, Yung is a founding member and Co-Artistic Director of Zuni Icosahedron, an epitome of the professional experimental arts company in Hong Kong. He is also Chairperson of the Hong Kong Institute of Contemporary Culture,Convener of the Chinese Creative Industries Forum,Board Member of the West Kowloon Cultural District Authority. In the past 40 years, he involved extensively in multifarious fields of the arts, including theatre, cartoon, film and video, visual and installation art; andhis works have been presented in over 30 citiesacross Europe, the US and Asia. Yung is also the artist of Tian Tian Xiang Shang conceptual comics, figurine and sculpture. In 2008, with Tears of Barren Hill he garnered the Music Theatre NOW Award given by the UNESCO’s International Theatre Institute. Yung was bestowed the Merit Cross of the Order of Merit by the Federal Republic of Germany in 2009 in recognition of his contributions towards arts and cultural exchange between Germany and Hong Kong. Yung is also the laureate of the 2014 Fukuoka Prize – Arts and Cultural Prize. On many of Douglas’ projects, he became increasingly frustrated by the lack of well-designed and well-priced furniture and homewares available in Hong Kong. And so in 1996, Douglas co-founded Goods of Desire with Benjamin Lau, a fellow architect and home design aficionado. Starting with a small shop in Ap Lei Chau, G.O.D. has grown into an established, multi-faceted lifestyle brand selling home furnishings, fashion and premium gifts with a distinct Hong Kong flair. All G.O.D. products are designed in-house by a multi-disciplinary design team led by Douglas and are inspired by the vibrant culture of Hong Kong where east meets west, and age-old traditions meet cutting-edge technology. Using humour and creativity, they turn everyday subjects into truly extraordinary objects.